we are here to cater to your transport needs. We do city-to-city transfers and even facilitate road trips. After moving to the next city, you can still contact us to take you to your next destination at friendly rates. Our driver, born and bred in Thailand, have vast knowledge of the country and all the cities and so they know how to go around it like pros. Since we love travelling, we are tour organizers too who will prepare an itinerary for your stay in Thailand . See the city of Bangkok like you have never seen it before. We arrange a city sightseeing day just to get you acquainted with the city and help you to roam around like a native . 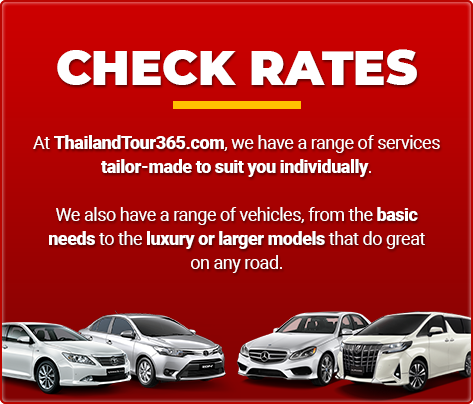 Our company engaged them to offer airport transfers for our corporate guests travelling to Thailand. They have a group of many competent and good service drivers. Big fleet of choice too. Companies can consider and depend on them to give good service for your customers. Our 5 days in Thailand was made easy because of them. Booked their vans for day charters, driver was easy-going and friendly. He is very knowledgeable and brought us to many famous temples around Thailand. As we could not speak Thai, he went on to act as our translator. That was a plus plus for our group. Highly recommend them to families or travelling with large groups to use their mini vans. Very comfortable despite long journeys on the road. We booked them for our airport transfer. They were very quick to reply and confirm our booking. On the day of transfer, driver waited patiently for us despite us being stuck in the immigration for quite some time. It was a smooth process through booking to drop off at our hotel. Will use them again.